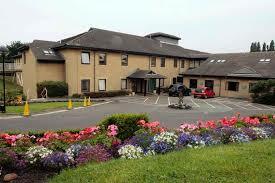 At Spire Elland Hospital in Halifax, just off the M62 for easy access. Hassle free access to appointments with very little if any waiting times. On site diagnostics from pathology to CT scans with rapid access to prevent any delays. Book directly online via Spire Hospital or call the dedicated GP number. Enjoy an initial 30 minute consultation for £120 to cover all of your needs and give you the necessary time you need. Follow-up appointments are just £75. 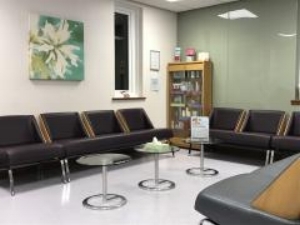 Working as both an NHS and Private GP, Dr. Mark Wilshere is able to offer a personalised GP Service in the modern and comfortable Springfield Suite at Spire Elland Hospital, Halifax. Being just 2 mins from junction 24 of the M62, the Springfield Suite is easily accessible from surrounding areas. Whether you are feeling unwell or require ongoing management of your health problems, Dr. Wilshere can help. 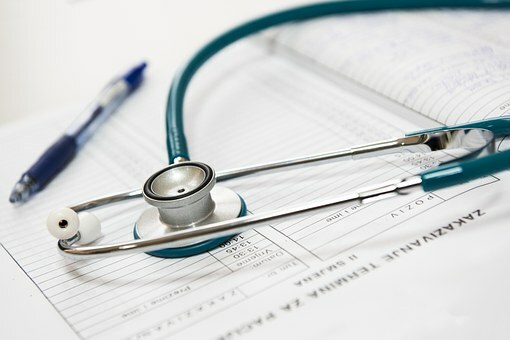 With excellent access to onsite investigations from blood tests to CT scans, services such as physiotherapy, or even an onward referral to a specialist, your medical care is prompt, more convenient and to a high standard. Please explore the website for further information or visit Spire Elland Healthcare. We look forward to seeing you soon. Do you need more time to discuss your healthcare needs and concerns? Do you need to see a GP outside normal working hours because of a busy schedule? Want to be seen quickly or get the necessary tests or referral without delay? Dr. Wilshere is able to provide you with a full and comprehensive GP service from the luxury of the Springfield Suite. Whether you need some advice, a second opinion, investigations or referrals to see a specialist, Dr. Wilshere can help you get the advice or treatment you need. Other services include travel advice and medications, plus vaccinations. Now available - joint & soft tissue injections. Are you travelling abroad and need advice on vaccinations? Do you need malaria tablets or vaccinating? Are you travelling soon and need an urgent appointment? We can review your needs and get you sorted at such notice if required. We usually pay to check things like our boilers and cars, even our teeth! yearly, but most of us do not consider checking our overall health on a regular basis. Dr. Wilshere can provide you with a full health check for only £175 which is considerably cheaper than most health checks. Dr. Wilshere can see you at your home or workplace if this is more convenient for you. Please liaise with the booking team to discuss and they will contact Dr. Wilshere to arrange an appointment. Dr. Wilshere can provide a range of medical checks at the Springfield Suite from HGV & Taxi medicals to aviation and medical claims. Struggling to lose weight? Been told conflicting advice? Diets not working? Dr. Wilshere can offer guidance, support, and regular monitoring to help you achieve your goals. When needed, medication can be prescribed or even a referral to a weight loss specialist. Dr. Wilshere has lots of experience in weight loss and the vast majority of his patients lose weight without surgery! Telephone 01422 229 364 for all enquiries and to book an appointment. Providing Excellent Care When You Need It.